I am designing an RSVP, in which I give my guests the option of choosing their meal preference. I have a column for ticking the option of a kid's meal, then at the bottom I have a key for all of the meals. My question is: If my key is talking about meals in general should it be written "kids' meal"? 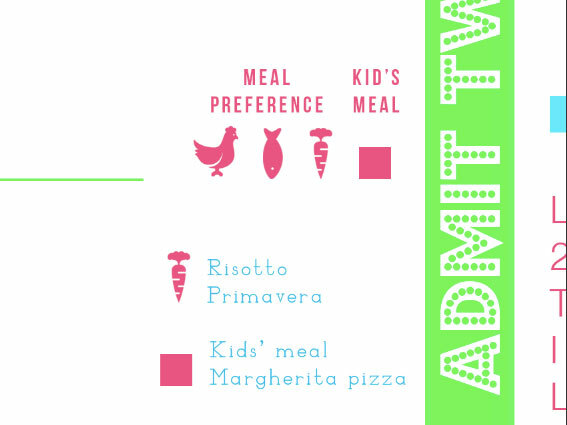 Then should the tick box be labelled "kid's meal", as it is one person indicating the meal for their one child? If this is correct, is it strange to have it written differently on the same invitation? Is there a way I can write both of them the same way that would be correct? I think you should leave it as you have it. You have defensible reasons. If anyone claims it's a typo you can put them in their place with the same reasoning you have given here. And good for you for thinking about it. Not the answer you're looking for? Browse other questions tagged punctuation possessives apostrophe attributive-nouns or ask your own question.